A group of us spent yesterday afternoon running through disaster recovery scenarios at ASHA. 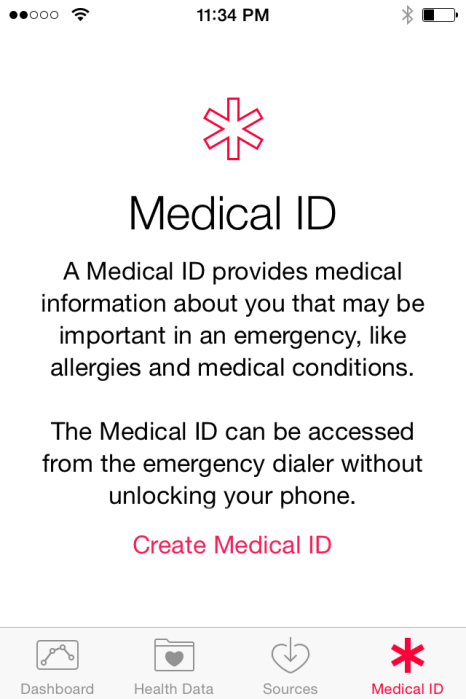 This lead us to talking about emergency contact information and the new emergency Medical ID in iOS8's new health app. I'd never actually tapped "emergency" in the lower left corner of the passcode screen. (I was afraid it would dial 911.) It actually leads you to a screen with your Medical ID. Open the health app and tap Medical ID in the lower right corner to set it up. This apple insider article explains how to set it up if you need help. You can include medical conditions, allergies and reactions, blood type, organ donor status, and who you would like to have contacted in the event of an emergency. A first responder can see this information without unlocking your phone. If you don't have an iPhone or the current operating system, download an app called ICE and use it. I'm also a big fan of the low tech, Road ID.